Alpha completes report design for tight deadline. The Scottish fair trade organisation JTS has for several years been working with rice farmers in Malawi to increase yields and develop export markets. From 2013 to 2016 the work was funded by the Scottish Government’s International Development Department. JTS produced a comprehensive report on the project for the Scottish Government. At the same time, they asked us to design and publish an attractive, accessible 8-page summary report. With many years of experience working with fair trade organisations, we were delighted to work on the report design. 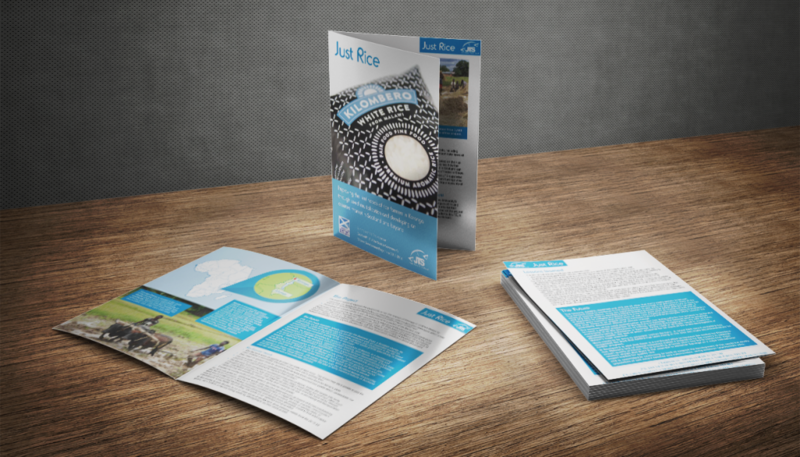 Our team worked tirelessly to deliver the Just Rice booklets to a tight deadline, and to the standard that we pride ourselves on!